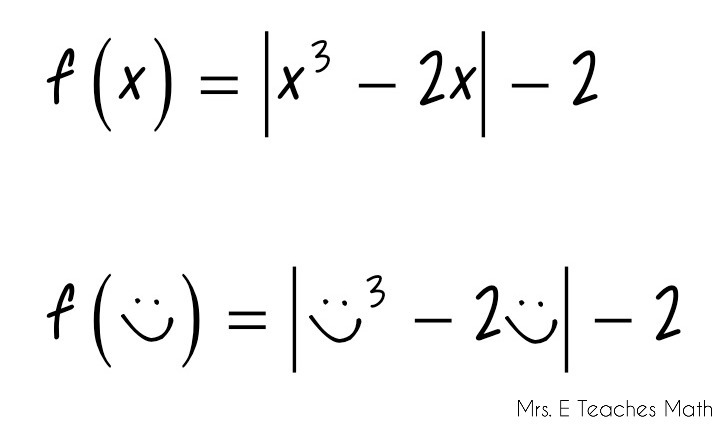 I’ve found that function notation can be a challenging topic for my Algebra 2 Honors students. My first year, it was a constant struggle and they always looked so overwhelmed. So the next year, I totally revamped the way that I presented it and have had much greater success. My biggest goal is for them to realize that it’s really just a different way of writing things they already know about. I usually start by telling my students to put their pencils down, watch, and participate. This always gets their attention. First, I tell them that I’m going to write an equation, but that it’s going to look strange. I write the first equation on the board. Then I say, “Ok, I’m going to change a few things.” and I write the second equation on the board. I ask the students what the changes are. Someone always says, “You drew a heart instead of writing x.” My only response is, “ok”. 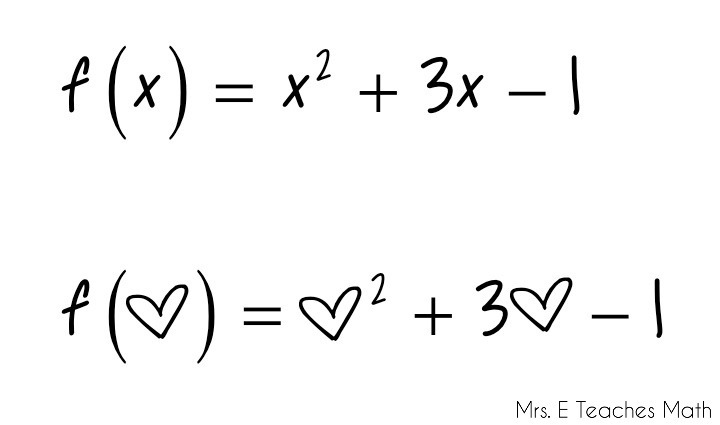 Then, I write something like the next equations on the board. Again, I ask about the differences between the two. At least one student will tell me that I just drew smiley faces and I barely respond. Next, I write something like the next two equations on the board. 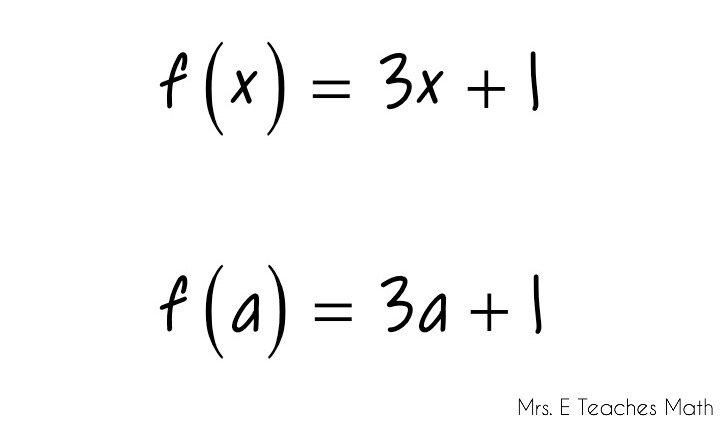 They will tell me that the difference is an a instead of an x.
I continue this process with the equations below. I don’t simplify anything at this time. I just want them to notice that I’m simply replacing things. Then, I tell my students that we’re changing gears for a minute. I put this picture up on the board and ask them to silently! see if they can figure out the pattern. I totally ripped this idea off of Druin at Stat Teacher. It’s such a great idea (go read it, really!). After a few minutes, I ask if anyone wants to share. We have a discussion about what is going on and what the notation means. Then, we talk about how it relates to the problems we did before. I usually go back and simplify the answers from the previous problems and make sure everything is following along. All of this takes maybe 15 minutes, but it makes such a world of difference for my students! 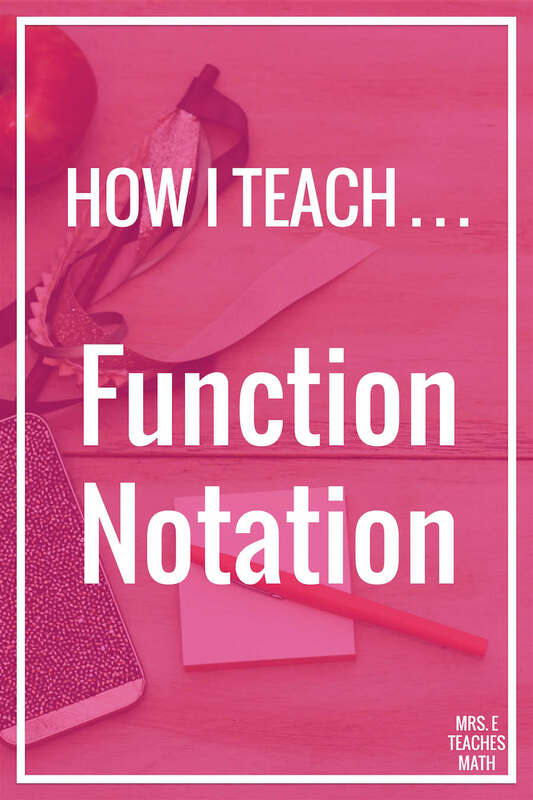 What do you do to teach function notation? What works for you? Lovely idea!! Really seems to bring a quick understanding to a topic found challenging by many. Nice :)! 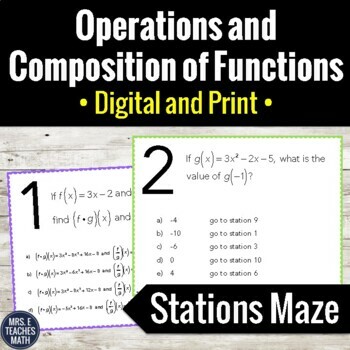 I'm teaching my first lesson on Thursday to a class of Algebra 1 students who are really struggling with function notation. I can't wait to try this out! Love it! 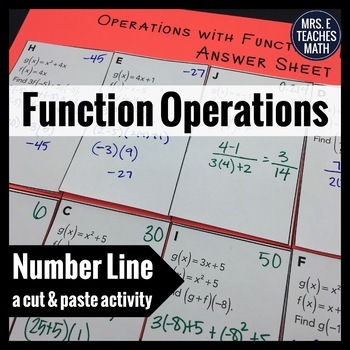 Going to start functions with my Algebra kiddos tomorrow. This makes so much sense! I hope this works well for your students! Wish I had had you as Algebra teacher. I would not be the mathofobe I am today. Great idea......didn't thought about it. Thanks! This was awesome! I saw a lot of light bulb moments this morning. 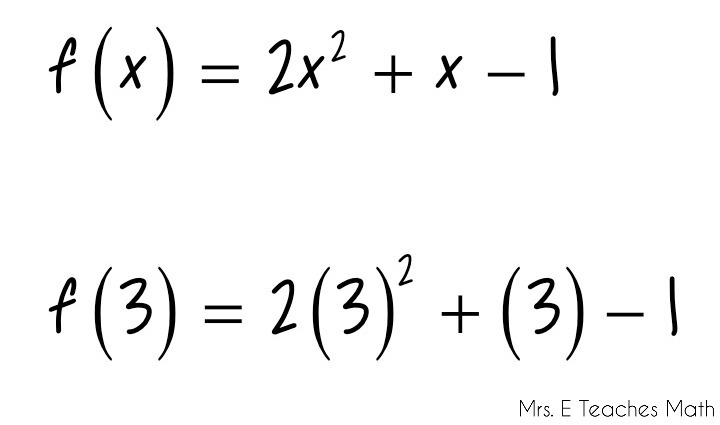 I did not use the same equations, but just showing them that all they have to do is substitute for x, it made sense to them. The song was amazing! ! It was pretty funny hearing a bunch 8th graders who love rap, humming a Dean Martin song. 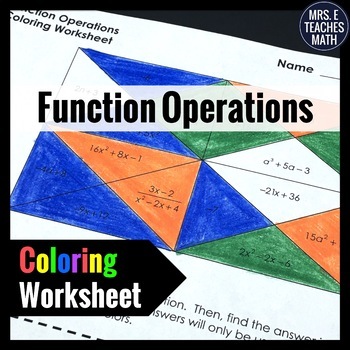 I am a new teacher and teach intro to algebra in the resource setting, SO thank you! What song? I've used songs and cheers in my room for over 38 years and am always open to new ideas! I usually create my own, but sharing is what is truly awesome about the teaching profession! Thank you!! This is the first time my students understood Function Notation right from the beginning! I can't thank you enough for all of your work you put into your blog and materials. You have helped me become a better teacher every year! Used this today to reteach compositions. So far its helping alot! 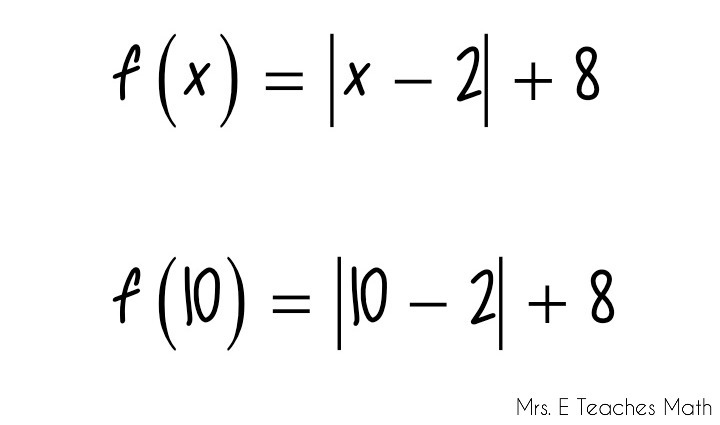 How do you teach them to move from a word problem to set up and then solve a function? This is how the SAT works. I know this is an old thread, but was just looking at ideas. 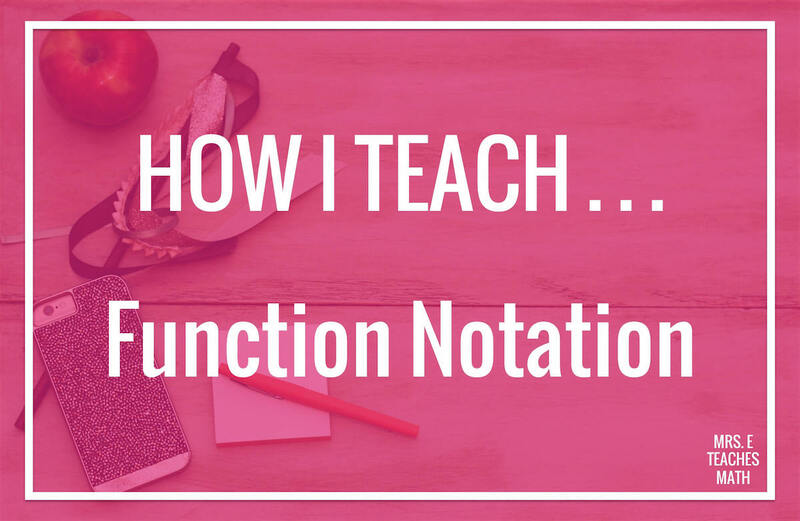 I use context for teaching function notation. For example, I take a function that calculates a paycheck for babysitting h hours at 10 per hour plus 5 for gas. We write it as y= 10x + 5, then I tell them that since our pay is dependent on h we rewrite it to reflect the independent and dependent variables as P(h) = 10h + 5 meaning paycheck based on number of hours. Then we calculate P(5) and discuss what that is asking and what the answer means, as well as P(h) = 35 and discuss what that means and what it is asking. I have found the context really helps with understanding, but getting them started is hard, so I think I may try your approach and start off by showing them your equation string first and let them try to interpret it, then move into what I usually do. thank you, thank you! I myself as a math teacher have had trouble with this. teaching 8th grade for the first time in many years and I have been dreading teaching this!